Sinusitis is one of the most common chronic healthcare problems in the U.S, afflicting 37 million Americans annually. Nasal congestion and drainage, sinus pressure and headaches are common symptoms. Common causes of chronic sinusitis range from uncontrolled seasonal allergies, immune related factors or simply congenital narrowing of the nasal and sinus passageways. Until recently, treatment had been limited to medical therapy or conventional sinus surgery which was often painful and required a lengthy recovery. Now patients suffering from chronic sinusitis may be able to find relief and reclaim a better quality of life through a state of the art endoscopic surgical procedure called Balloon Sinuplasty. During the Balloon Sinuplasty procedure, a small, flexible balloon catheter is inserted through the nose, into the opening of the affected sinus, and inflated to remodel the obstructed sinus passageway, effectively restoring normal sinus function. Now the technology is available to allow ENT surgeons to quickly and virtually painlessly perform Balloon Sinuplasty in the office while the patient is awake. This allows the patient to experience faster relief with no risk of anesthesia and with no down time. Balloon Sinuplasty, with significantly lower risks and costs than traditional treatment, can be just as effective as conventional sinus surgery at relieving the symptoms of chronic sinusitis. 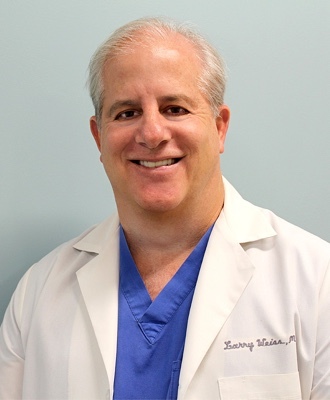 Dr Weiss is frequently able to perform Balloon Sinuplasty in the office as an outpatient procedure. Read this helpful information from American Academy of Otolaryngology titled “Fact Sheet: 20 Questions About Your Sinuses”. Information from Duke University int he article titled, “Up Your Nose with a Rubber Hose: Balloon Sinuplasty”. Please view the following documents for more information about Chronic Sinusitis and Balloon Sinuplasty.